Dallas Cowboys owner Jerry Jones said recently that if DeMarco Murray returns in 2015, he’d likely have his workload lightened at least to some degree. But that doesn’t mean the Cowboys will run the ball significantly less. Rather, according to Jones, they’d likely spread the load a little more evenly between Murray and the other backs on the roster. Obviously, Murray would still get the lion’s share of touches, but he’d have a lot more help than he did in 2014, when the team’s second-leading rusher, Joseph Randle had a paltry 51 attempts. "I think that generally we are in two-back systems across the league if you look at the practical way it shakes out," Jones said, per ESPN Dallas. "Most of these teams split a running game that approaches the number of rushes we have. They split it. But there are more backs. There are more backs. That adds to what happens. That adds to the answer: how do you address your running game? OK. You don't necessarily expect to have a back carry that kind of load and still have a very successful running game." 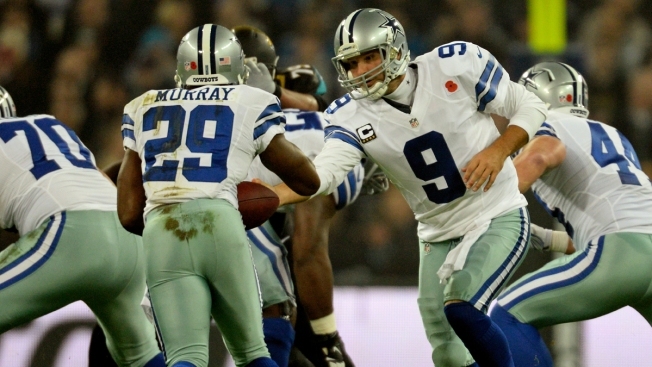 Murray set a franchise record with 392 carries in 2014, and he had over 50 receptions on top of that.